By Just Harvest on January 18, 2018 in Take Action! 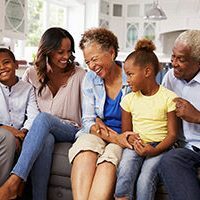 All workers face caregiving responsibilities at some point – whether it’s a child, a parent, or themselves. It’s time employers stop punishing them for that. The Citiparks North Side market is where we launched Fresh Access in 2013. Two long-time shoppers explain why the program continues to work so well. For a variety of reasons, Pittsburgh is now short nearly 20,000 units of affordable housing. 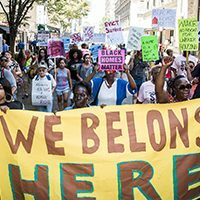 A new city bill would help address the crisis. 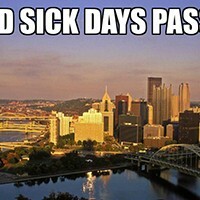 Pittsburgh City Council has now passed a bill to guarantee paid sick leave for the 50,000 Pittsburgh workers who don’t have it, and makes clear why. How it will affect Just Harvest. 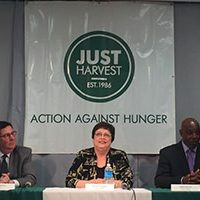 Just Harvest has been proud to work for more than 20 years to advocate for this important community resource. 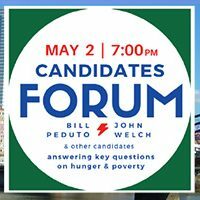 GrubUp is truly a ‘next generation approach’ to enabling the next generation of Pittsburghers to grow up without hunger. By Maria Muzzie on March 16, 2015 in Blog, Get Involved, Take Action! 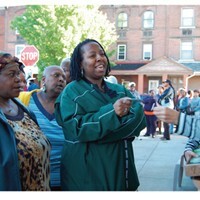 March 27th Update: Garfield community members and food justice activists got organized, took action, and won! 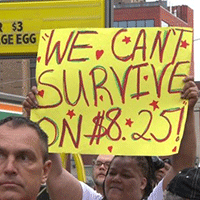 On May 15th, Just Harvest joined protesters in Pittsburgh in demanding a living wage and the right to unionize for fast food workers. These protests were part of a day of action planned for 150 U.S. cities targeting 17 fast food restaurant chains, including McDonald’s, Burger King, Wendy’s and KFC. 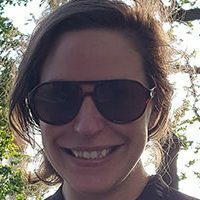 Friday, May 16, is Food Revolution Day! 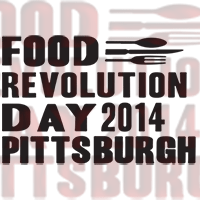 Join Just Harvest at the 2nd annual Food Revolution Day Pittsburgh 2014 this Friday to celebrate our region’s food culture and focus on improving food access.